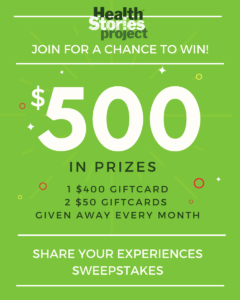 Sign Up To Share Your Health Experiences & You Could Win! No purchase necessary. Click to read the official rules. We connect patients and caregivers with health-related projects. Sign up to receive opportunities related to your interests.